The new 2011 Audi A7 Sportback will officially be introduced at the end of this month. 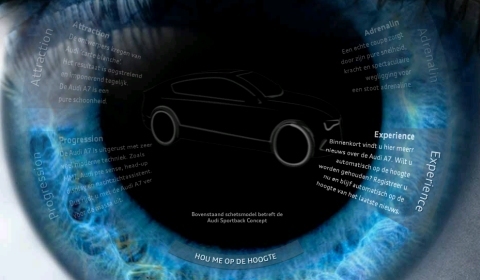 The German car maker has unveiled a Dutch landing page giving interested customers the option to register for more information on the new vehicle. The vehicle will get a 3.0 liter direct-injection petrol engine, a tubocharged V8 petrol and a V8 turbodiesel. 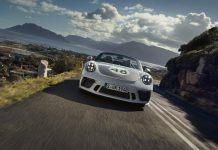 All engines will be paired to a seven-speed dual clutch automatic gearbox and all-wheel drive. The exhaust will lead to dual or quad tailpipes. The car features five doors and four single seats. The official debut will be late August at the Auto Salon Moscow. The car will hit the showrooms in November.